As the first and last impression for your wedding, Courtesy Valet is dedicated to delivering exceptional service. We maintain decades of experience providing parking solutions for weddings and special occasion events that are focused around the needs of our clients and their guests. We realize that comfort, security and safety of your guests and their vehicles is your number one concern. All Courtesy Valet drivers are fully insured, professionally trained and we maintain one of the highest client retention rates in the industry. In addition to St Petersburg Wedding Parking we provide services for Valet Parking, Business Events, Grand Openings, Sports Events, Entertainment Venues, Political Events and much more. A designated member of our management team will work directly with you or your event coordinator to ensure our services run smoothly and efficiently. Courtesy Valet provides complete parking solutions to the entire St Petersburg, Florida area. 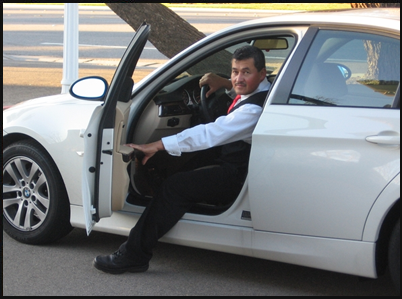 We only hire professional drivers who have completed both background checks and extensive training. We have some of the highest standards in the industry. Are employees are required to maintain excellence in every service that we offer. Our courteous service is what gave us our name. We guarantee client satisfaction for every service we provide. Our management team works directly with each client to cover every detail, no matter how big or small.